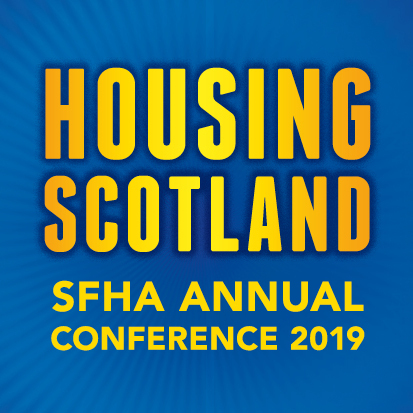 In advance of this weekend’s International Day of Older Persons, Housing Minister Kevin Stewart MSP has commended BRE for highlighting how assistive technology could help the older generation to stay safely in their own homes for longer. BRE, the not for profit building science centre, hosted its Assistive Technology event to showcase and demonstrate how the use of the latest technologies can support an ageing population. Housing Minister Kevin Stewart praised BRE as he addressed the 50 strong audience of local authorities, housing associations, charities, public and healthcare staff. Thereafter the Minister toured the award winning BRE Innovation Park, including a visit to the Dementia Friendly Home which highlights how adjustments to traditional properties could make living at home safer for the increasing number in the Scottish population who are being diagnosed with the condition annually. He was also able to view first-hand innovative products from companies, including Sol Connect, Chubb, Canary, Dayex, Shackleton’s and Unicook, which have been installed on the Dementia Friendly Homes. “New strategies are required to support the nation’s ageing population – many with associated health issues – who wish to continue living in their own homes because the reality is that with a growing elderly population, increased life expectancy and the prediction that by 2021, the number of people with dementia in the UK will have increased to around 1 million. BRE seeks to combine science and technology with innovation and entrepreneurship to find solutions for existing and future building issues not only in Scotland but in the UK, Europe and around the world. Pictured: Housing Minister Kevin Stewart.